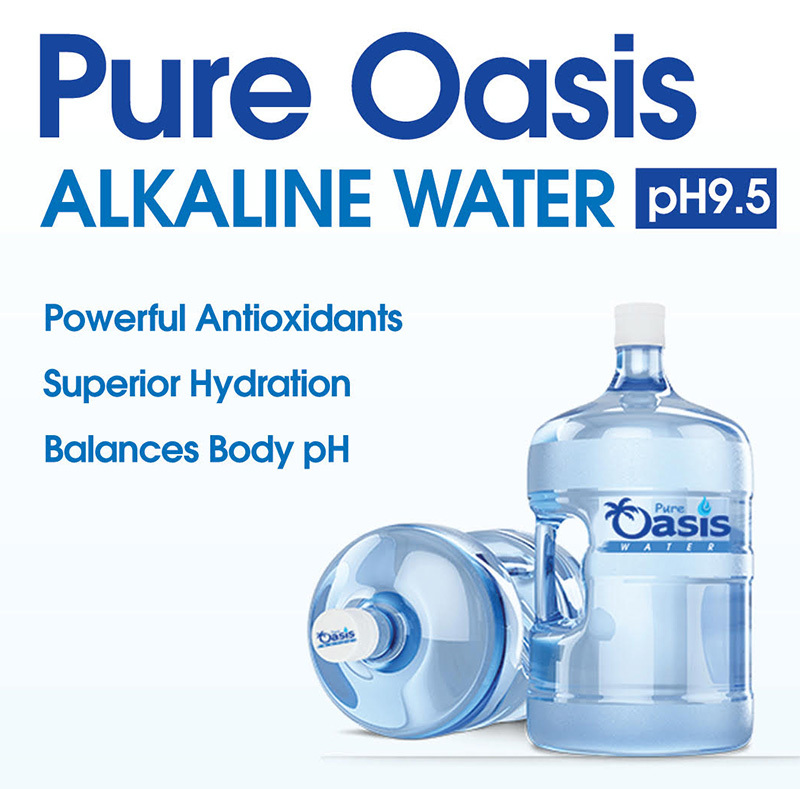 Pure Oasis Alkaline Water helps to effectively restore and rebalance the body to optimum pH levels. 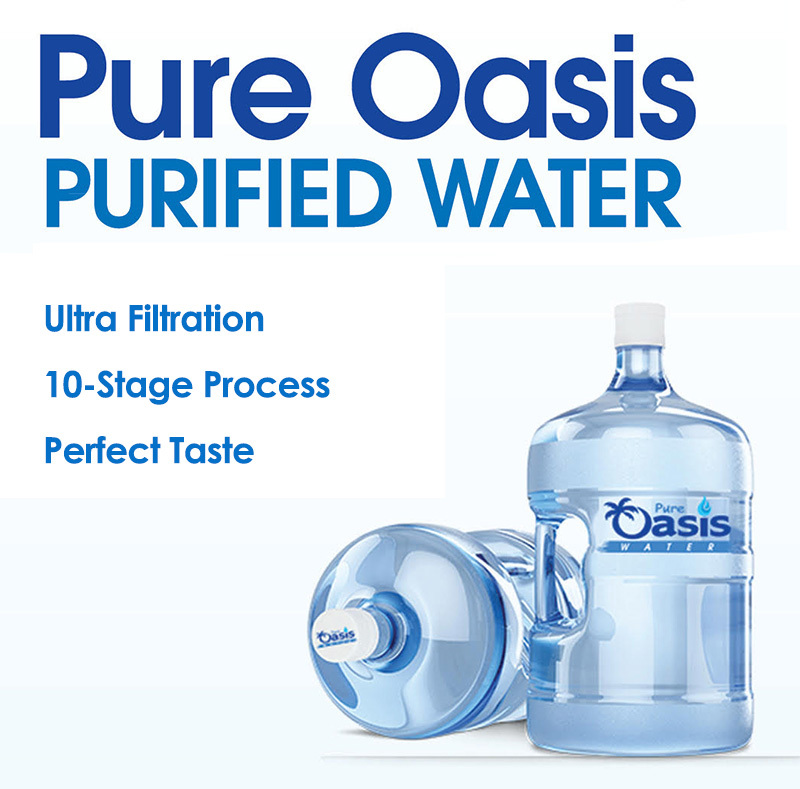 Pure Oasis Alkaline Water is purified to its cleanest form by a 10-stage filtration process and then remineralized with an organic blend of minerals for a perfect taste. Pick your water type, quantity and cooler. Service starts at less than $1 a day. Water delivered every 2 weeks. Enjoy 3 bottles any size, any type plus our Classic Cold Cooler for only $19.95 Delivered. Introductory offer valid for new customers only. 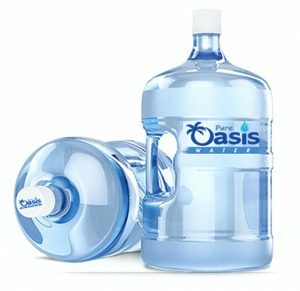 Pure Oasis Water is committed to providing customers with quality products and outstanding customer service, Pure Oasis Water offers Purified and Alkaline bottled water delivery services to homes and offices. Pure Oasis Water believes in a tradition of giving back to the local communities it serves, from fitness,education and direct community involvement as the official bottled water of the Antelope Valley FAIR, Pure Oasis Water is the preferred local choice at home, at work or at play. Pure Oasis Water proudly provides great-tasting bottled water delivery service to the Santa Clarita and Antelope Valleys – Cities of Lancaster, Valencia, Palmdale, Rosamond, Quartz Hill, Acton, Santa Clarita and Newhall. A: Ionized alkaline water is water with mineral ions in it. Two things to note, minerals in water become ionized when they either gain or lose electrons. And second, ions are atoms that can either be positively charged or negatively charged. The positively charged atoms are what make the water pH go below 7.0 thus making that water an Acid. And negatively charged atoms make the water pH go above 7.0 resulting in the water being a Base. Pure Oasis Water’s proprietary natural ionization process creates a negative ion water (a Base) – which results in a supercharged ionized alkaline water that’s better at rehydrating. Note: Pure Oasis Water uses a proprietary remineralization process that creates a stable Alkaline Water with an indefinite shelf life. Water stores and counter-top units that use electricity create an artificial effect that is not stable and must be consumed in 12-24hours. Q: Why don’t saliva pH strips or Swimming pool drops work on Pure Oasis Alkaline Water? A: The swimming pool drops or pH saliva strips (or Litmus Paper) which are commonly used to test the pH of urine or saliva cannot test accurately on waters as pure as Pure Oasis Alkaline Water. In order to accurately test the pH level of any purified water, a calibrated pH meter must be used. Furthermore, many paper test kits require a Total Dissolved Solid (TDS) of at least 150ppm for an accurate reading; Pure Oasis Alkaline Water consistently has less than 10ppm, due in part to the purified water used in our proprietary process. This level of TDS is required during ionization for the removal of acidic ions. © 2018 Pure Oasis. All Rights Reserved. Each franchise independently owned and operated.